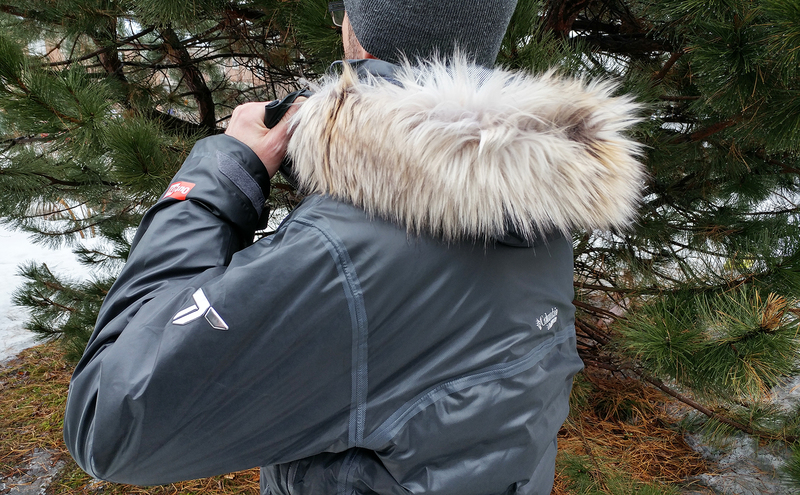 Editor Aaron Kylie calls the Men’s OutDry Ex Diamond Heatzone Jacket a "masterpiece"
I’ve never had some many compliments about the look of a winter jacket. When I first got the Columbia Men’s Outdry Ex Diamond Heatzone Jacket a few weeks ago, just about everyone who saw it commented on how sharp it looked. Of course, it not only looks sharp, but delivers on its promised performance, too. 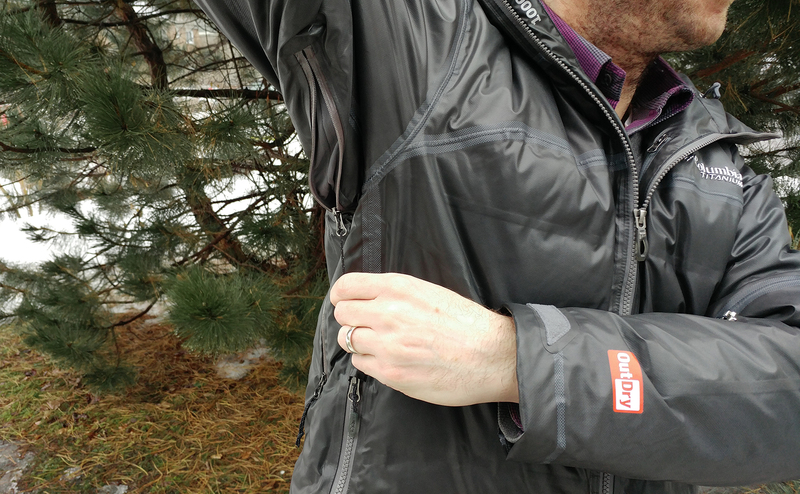 I tested this jacket throughout the month of February in Ottawa, when temperatures dipped to the -20s and there was plenty of snow and freezing rain. The OutDry Extreme 100 per cent nylon outer shell repelled all the snow and rain (indeed, snow would accumulate on it but could be simply brushed away), and the Omni-Heat Reflective Thermal Insulation combined with the TurboDown Wave goose down insulation kept me perfectly cozy at a wide range of sub-zero temperatures, even while wearing just a t-shirt underneath. As mentioned, this jacket garnered lots of compliments (and the envy of colleagues). Its slim-fit, puffy parka style is extremely well-tailored and the synthetic fur trim on the hood (which is removable) gives it a hint of rugged adventure wear. The contoured, adjustable sleeves with Velcro fastenings not only add to the jacket’s sharp look, but are super functional, too. I don't think you can judge a winter performance-style jacket without touching on (digging into?) the pockets. This jacket delivers, with very roomy, zippered, insulated front hand pockets (I stuffed un-mittened hands in them during a particularly cold day — for testing purposes — and my hands were as warm as the rest of my core; the hand pockets were also large enough to hold a toque and mitts without looking stuffed). There’s a handy inside chest pocket, plus a ski pass pocket and a zippered sleeve pocket. Just two wee notable features beyond those previously mentioned: First, the zippered underarm venting is a handy feature, both for cooling and added mobility. 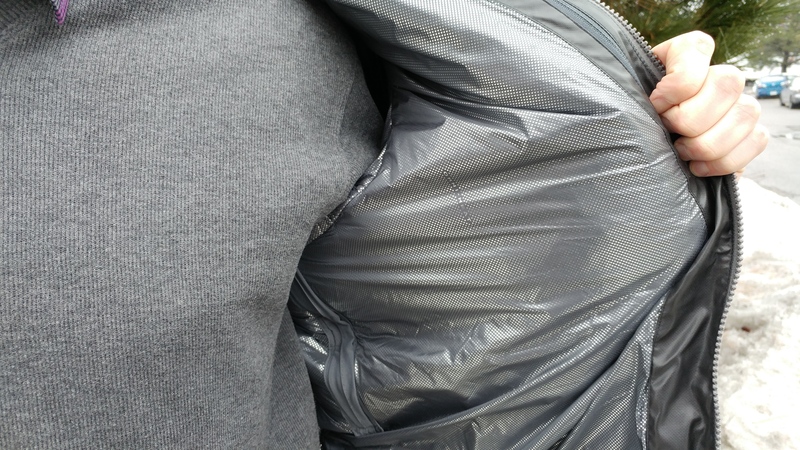 Second, my one gripe with the jacket is that the main zipper was extremely temperamental in the early going, regularly getting stuck and/or just being downright hard to move (virtually impossible with gloved fingers). It did get easier over time, so perhaps it was just a working-in period, but it was a frustrating one. Still, once that was worked out the jacket is overall a masterpiece I’d wear any day.